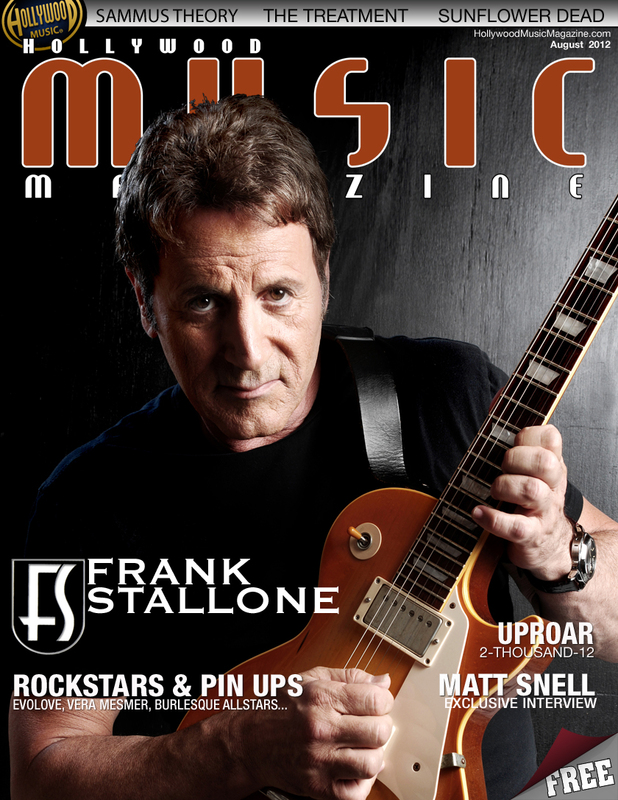 Grammy Award nominated songwriter, actor and musician Frank Stallone recently met with Hollywood Music Magazine to talk about the new endeavors in his life. With a new management team in place, new songs and live performances around the LA area, Frank is back to doing what he does best – making great music. Frank Stallone has made a name for himself singing and acting with the most respectable names in the industry, at one time sharing the stage with his idol Frank Sinatra. 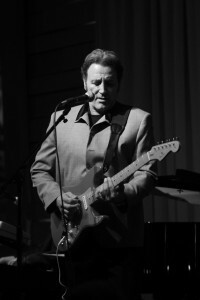 Frank has written and recorded songs for movies such as Rocky and Staying Alive. Frank’s career also includes acting in over 50 films including slugging it out with Mickey Rourke in Barfly. Never satisfied, Frank continues to push forward to entertain fans around the world. 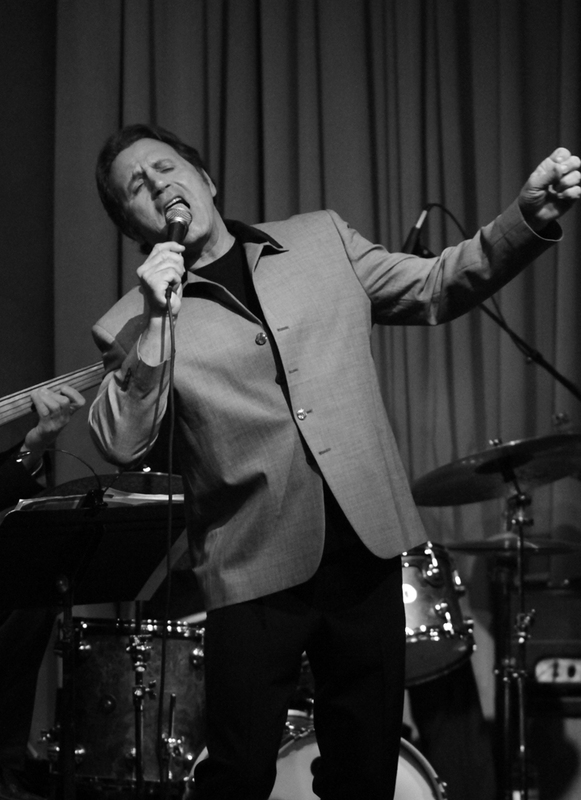 Frank Stallone grew up listening to Elvis and Frank Sinatra. “I started guitar when I was little, when Elvis was big, I didn’t really play it – I just hung it around my neck. I really started playing when I was 14 and was professional by 15. It was something that chose me. One day I woke up and I could sing and do all these styles. I truly believe it was a gift from a higher being. I can’t play like Van Halen, I play like a 100 year old black blues guy. It’s like what B.B. King said `Hey man, I get paid for the notes I don’t play”. Music is the center of Frank’s life. He opened up about the different musicians he admires, “I like Kings of Leon, because it’s real sounding – it’s not flashy but it’s good”. “All these Hip-hop guys wearing this stupid jewelry writing hateful music. Music is supposed to heal and make us one. Most music isn’t like that anymore,” he pointed out. “That’s why I like the Black Keys, these homely guys started out in a basement and now they’re playing stadiums, it’s great! It’s like what Dave Grohl said it’s about playing real instruments, they did it in a garage with a tape machine applying their craft. Not sitting behind a computer sampling stuff”. Frank explains further, “It’s good to see these down home guys, this raggedy rock band just go in and do it, it’s so great that they won album of the year”. Frank has stuck to his guns about what he would call “applying your craft”. He doesn’t make elaborate stage productions. He prefers the wow factor to be in his music. “When I’m on stage, I’m not worried about, ‘Is the light shining good on my face? I just go on stage, tune in and just hit it. You fly by the seat of your pants. When I do my shows I do everything that I can do, because that was the lay of the land growing up, you had to be versatile. So, I’ll do the standards, and then I’ll go into a blues song. Then I will hit my own material such as music from Staying Alive, It’s really like a variety show”. Frank Stallone has accomplished a lot of things in his career, “The thing is that I love playing guitar, I have a guitar in every room and that’s how I practice, because it’s always there”. Frank admits, “I love music, it’s really my life, I come alive. You rock till you drop. If you go out, go out with your heels up”!